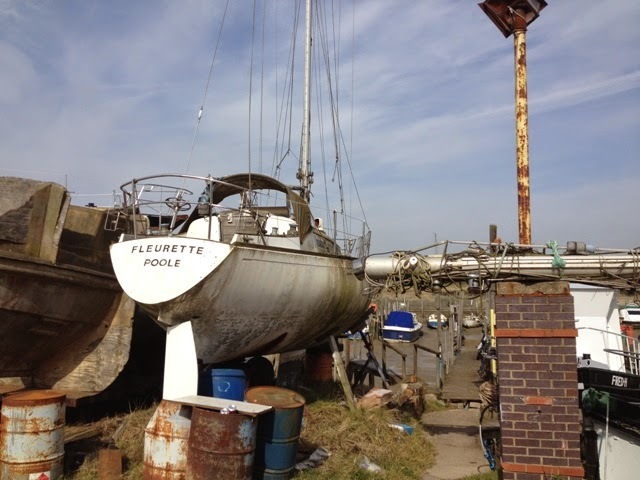 I once owned a Fairey Fulmar, and I kept her on a mooring at Hullbridge. 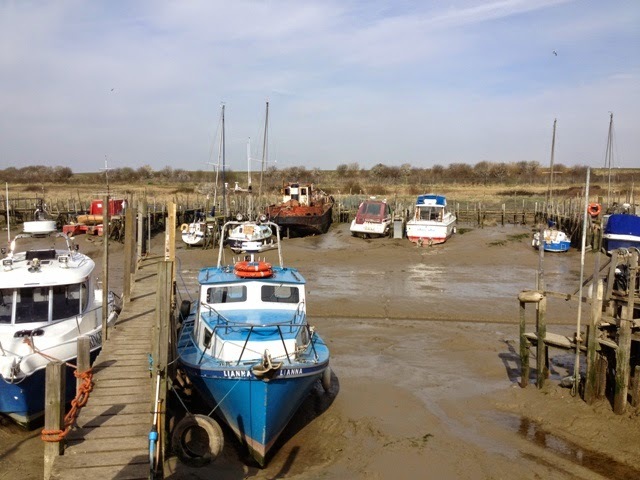 She remained afloat at all times, which was a bit unusual for that part of the River Crouch. There were two reasons for being able to remain afloat: her shallow draught when her keel was raised, and because the mooring was located in an ever present pool at low water. I had a child’s wooden wheelbarrow that I filled with concrete into which I inserted a loop of iron rod before it set - So far so good. The result was a nice mooring block conveniently placed in the wheelbarrow for transporting it to where I may want. At low water I went to the spot of the proposed mooring, and I tried digging a hole in the mud which was about two feet under the surface of the water, but it proved to be very difficult. Eventually I was satisfied the hole was big enough, and at each of the four corners I inserted long canes as markers. Before the tide came, in I wheeled the barrow and its contents to the middle of the river, adjacent to the Up River Yacht Club’s slipway and buoyed it. 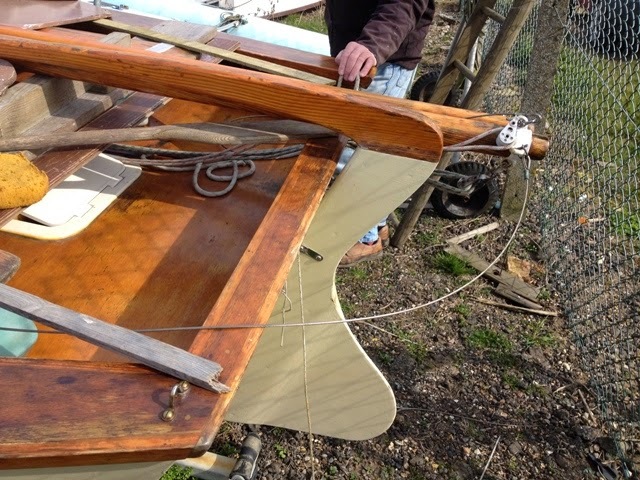 As planned, I found myself standing on the bow of my Fairey Fulmar an hour before high water hauling the rope which was tied to the mooring block. Because of the combined weight of me and the block, the prop almost came out of the water! To make matters worse, I could not at first remove the block from the wheelbarrow, because it was buoyant. To reduce the weight at the bow I kept the block submerged. Meanwhile the yacht was drifting out of control. By forcefully prodding the barrow with the boathook I was able to free it. I returned to the cockpit to gain control and to bring the yacht back to her designed waterline for the prop to have enough drive for making headway. Approaching the wiggling canes, and about fifty yards away from them, I set an anchor from the stern so as to position the bow by the markers. By the time this was accomplished it was almost high water at the stand of tide with just enough current to keep the yacht by the markers. I cut the engine and went forward. Apprehensively I lowered the block between the four canes. A later inspection showed that the hole was not quite large enough for the block, but there was still enough depth at low water to keep my Fairey Fulmar clear. 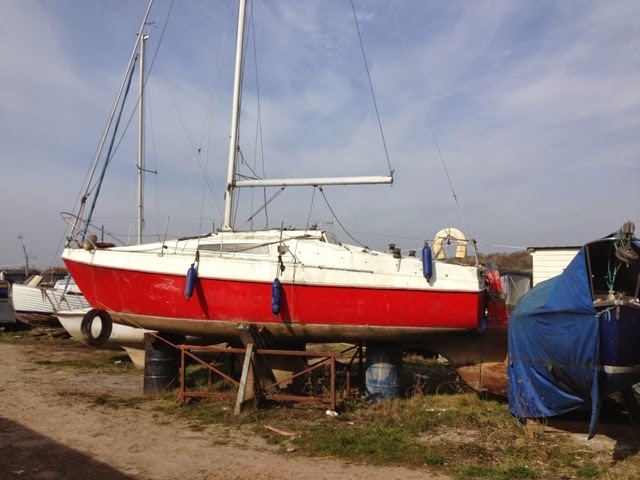 She turned out to be a fine yacht for East Coast cruising, on account of her lifting keel, but care had to be taken when traversing swatchways because of her 5’ 9” draught when the keel was fully down. Winding it up and down took ages. 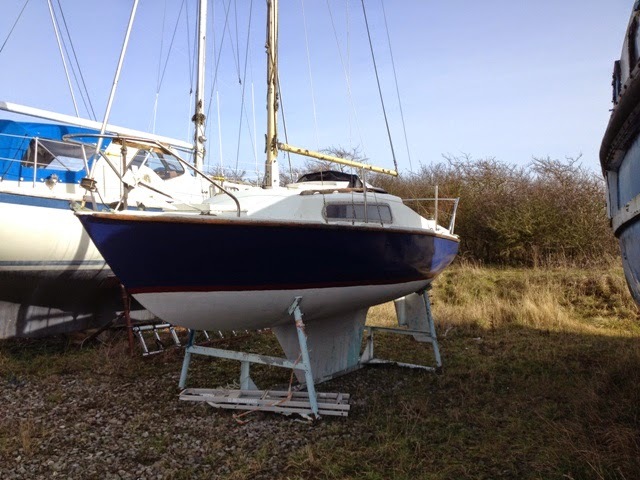 At 20’ LOA and with a beam of 7’ 9” and headroom of 5’ 5” she was a comfortable two berth cruiser. Despite her top-hamper, her performance to windward was exceptionally good. Her one big drawback was her inability to hold a course. Having to always steer by hand was a nightmare. The inboard engine situated under the cockpit floor was easy to get at. 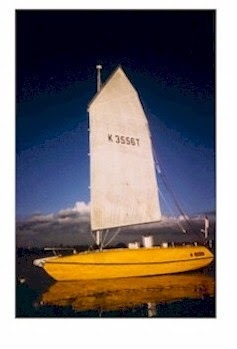 Is this a fin keel Caprice Mk V? She looks about the same size, but her cabin top is more streamlined and her transom and associated coaming appear to have been modified. Whatever she is, she looks pretty able. 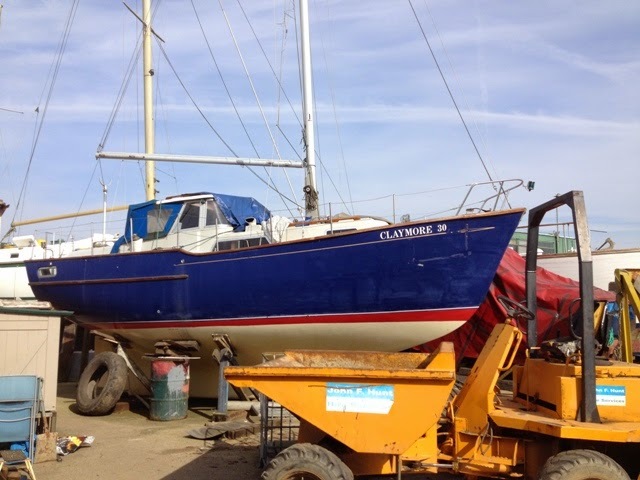 C. E. Clark (Cowes) Ltd. Yesterday in the comments section, Alden Smith mentioned there was a similarity in appearance between Julian Mustoe’s ‘Harrier’ and Commander Bill King’s ‘Galway Blazer 11’. I met Julian when he was preparing ‘Harrier’ for his great adventure, and I remember him saying he had deliberately designed her to have similar characteristics, for strength, for reduction of wave impact, for water shedding qualities and increased buoyancy. The drawbacks of the cigar shape were more windage and the unfriendly, hazardous deck, as with ‘Galway Blazer 11’. However, ninety-nine percent of the time both yachts were handled from the security of the cabin. 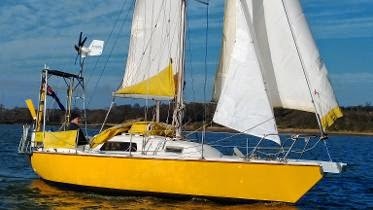 After returning home in 1973 from sailing ‘Galway Blazer 11’ around the world, Commander Bill King put her up for sale. 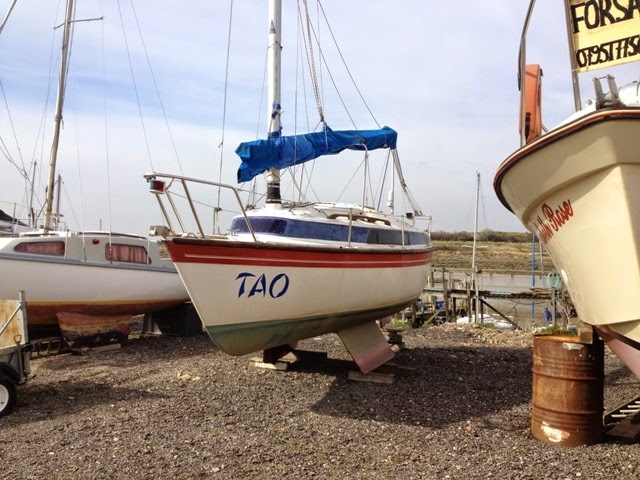 I met him at the West Mersea Yacht Club when he gave an illustrated lecture about his voyage, and he said he had enough sailing to last him a lifetime. I remember seeing his yacht at the London Boat Show where she was the star attraction. Peter Crowther bought her in 1974 for £10,000 and he entered her in the two-handed Round Britain Race that year. He invited me and my brother to have a look at her when she was at Plymouth before the start of the race. 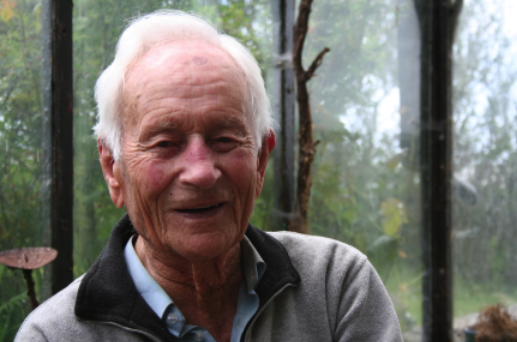 * Peter renamed the yacht, 'Galway Blazer of Dart' and he owned the Angus Primrose designed schooner for many years before she was lost in the 1996 Single-handed Transatlantic Race and he has written a book** about his experiences sailing her. It was with great delight that I recently came across a reference to Julian Mustoe. He is the intrepid sailor who set out in his modified Folksong ‘Harrier’ to sail around the world in the wake of HMS Beagle, aboard which Charles Darwin, the naturalist, developed his extraordinary theory of evolution. 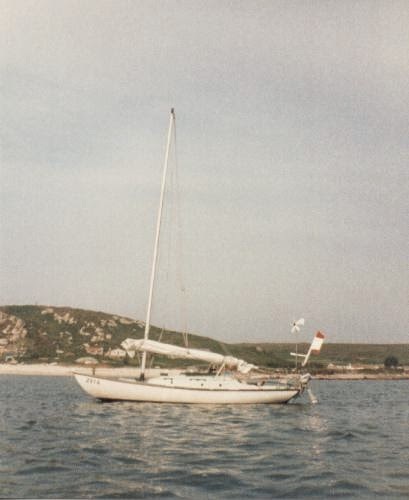 Julian’s voyage was of particular interest to me, because ‘Harrier’, formerly ‘Zeta’, in her original glory, was built by me from a basic bonded deck and hull to the design of Eric Berquist. 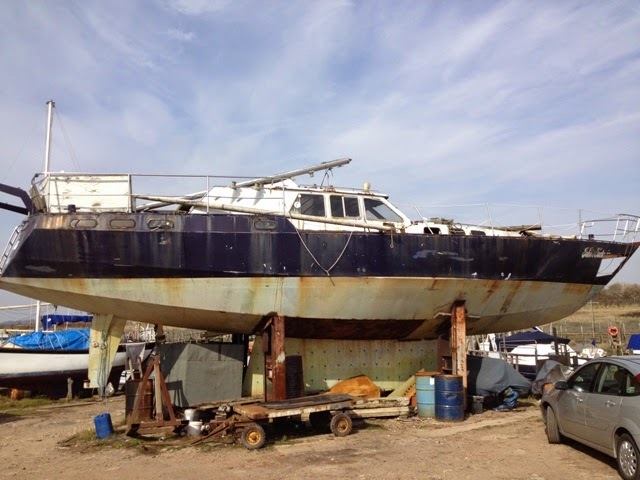 Julian stripped her out completely, only wanting her for her hull and junk rig. 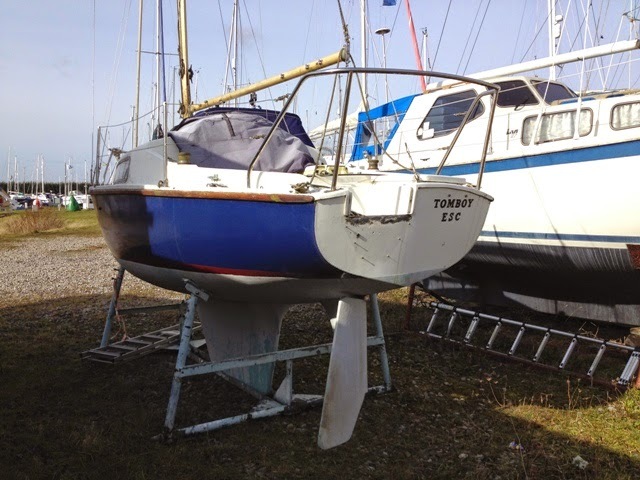 She was well ballasted with a ton of lead and her hull had no seacocks. He built a new raised deck to provide increased headroom and for greater internal volume. To cut a very long story short, Julian succeeded in following the wake of HMS Beagle, but not without suffering the loss of ‘Harrier’ when she was wrecked on the Brazilian coast. He subsequently fitted out another vessel that he named, ‘Harrier of Down’, and he continued his great adventure, finally returning home after eleven years, not all of them at sea, on account of spending time ashore in pursuit of his interests and adding to his income. 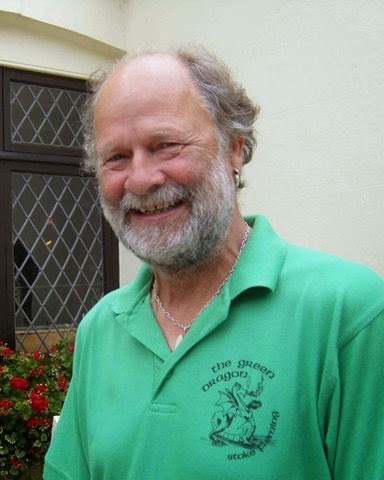 I congratulate Julian on his achievement and wish him every success in his new endeavour in 2015 to sail ‘Harrier of Down’ to the Baltic Sea for carrying out another historically based cruise exploring the territory and activities of the Hanseatic League. 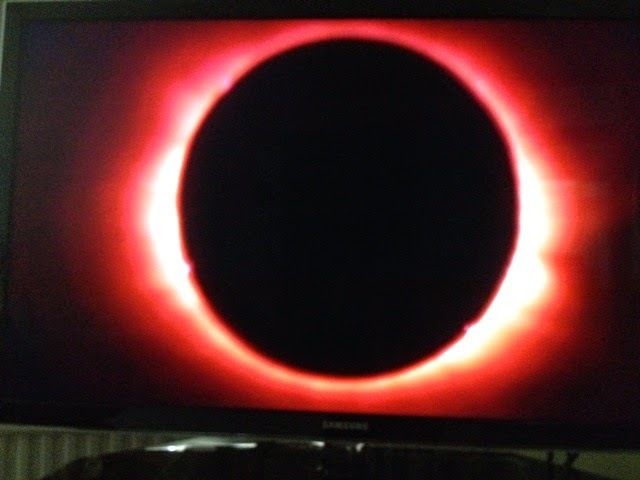 Yesterday, along with millions of TV viewers, I had the privilege of watching the eclipse of the sun. 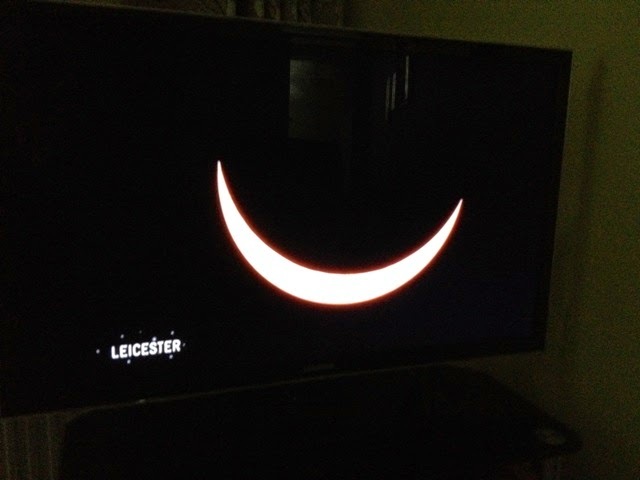 Cloud cover where I live in Essex prevented me from seeing it firsthand. I thought the BBC produced and presented their programme very well. 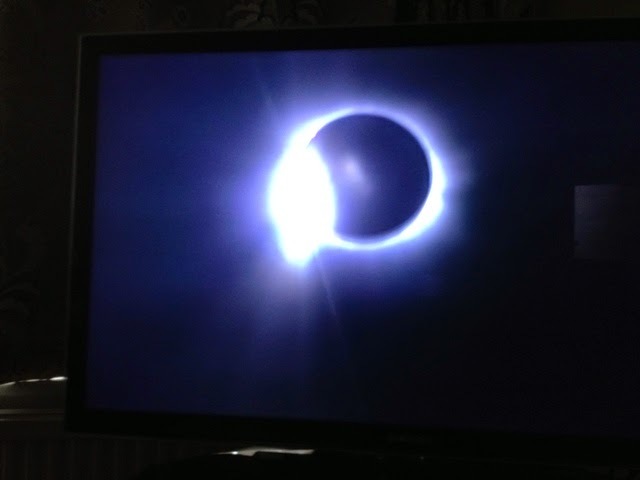 With great technical skill they showed live footage of the eclipse from different parts of the UK and from the Faroe Islands. The moon’s shadow first passed over S W England at Newlyn. From there it progressed in a northerly direction over England and Scotland. Perhaps the trickiest part of filming was from an aircraft in flight north of the Faroes from where it was possible to film a full eclipse. Liz Bonnin was the commentator. 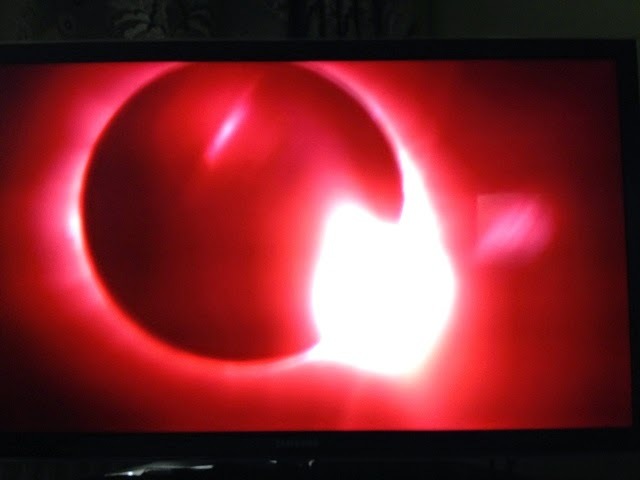 Elsewhere in the UK the eclipse was only partial. 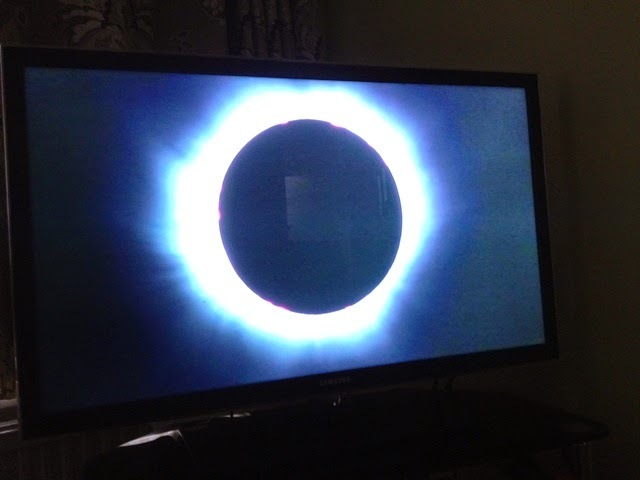 The further north you were, the fuller was the eclipse. The 20th March 2015 also coincided with the Spring Equinox, the first day of the year when there are twelve hours of daylight and twelve hours of darkness for those at the equator. Coincidentally, the Moon happens to be in perigee; that’s when it is closest to the earth while travelling on its elliptical orbit. Because the sun, earth and moon are lined up, it is also a time when the difference between high and low tide is at its maximum – a time when tidal streams run at their fastest. There are three versions of the 19’ 3” Newbridge Navigator: those with a fin keel or with a lifting keel or with twin keels. 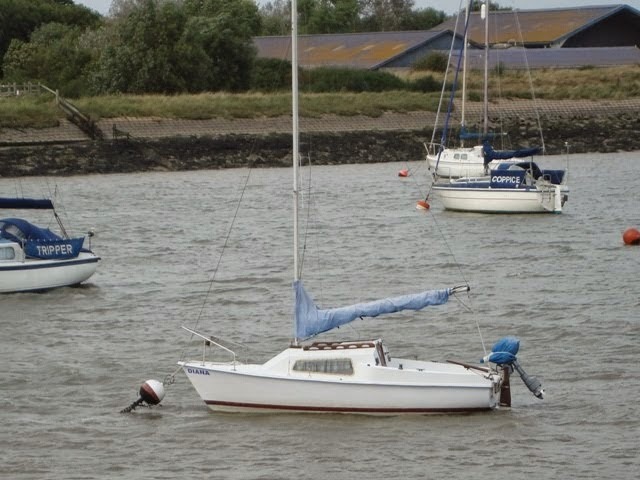 The original Navigator 1, first launched in 1979, was designed by Robert Tucker and Newbridge Boats. 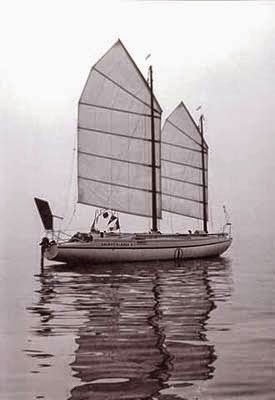 The Mark 111 version came with the option of being rigged with a Chinese lugsail, referred to as a junk sail. 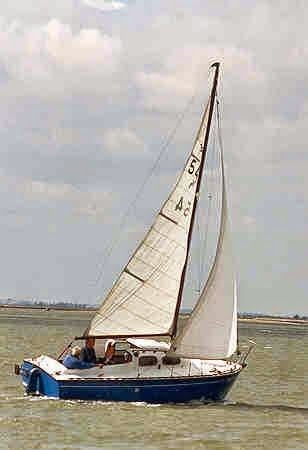 I like her wide side decks and her uncluttered foredeck which has a draining anchor well. I also like her high coamings for added security for the crew when in the cockpit which can accommodate up to four persons. There’s no need to hang over the transom for getting at her outboard, because it is conveniently mounted in a well at the aft end of the cockpit. 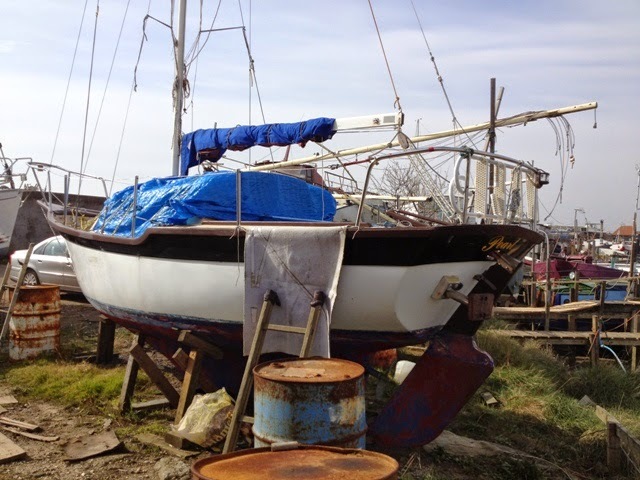 Being junk rigged, she has a special appeal to me, because I have owned four junk rigged yachts, and I found them exceptionally good cruising boats on account of the ease with which a junk sail can be reefed. 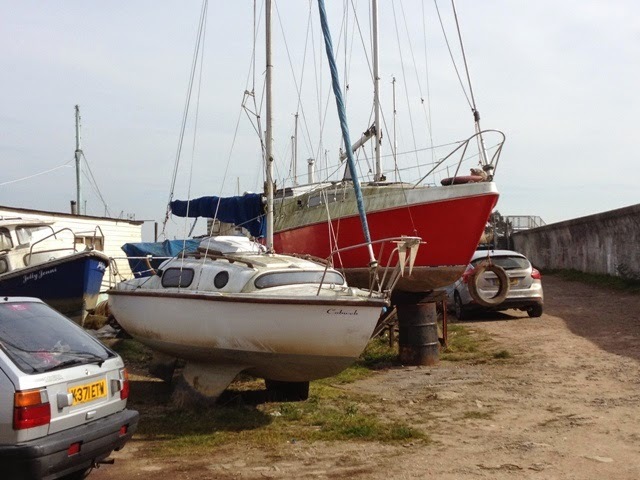 There are many boats in the locality of Smallgains Marina: large, small, sail and motor. 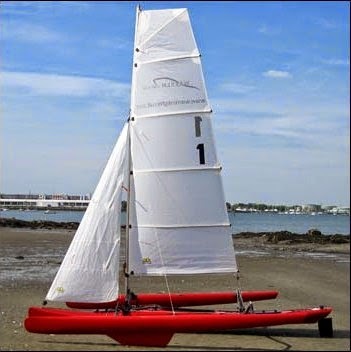 You name it and it will be there: catamaran, trimaran, monohull, houseboat, motorboat, day boat, open boat and dinghy. Without being too selective, I took a few photos of some them, and here they are. I’m making no further comment, than to say I saw one or two newer boats, none of which are shown here. 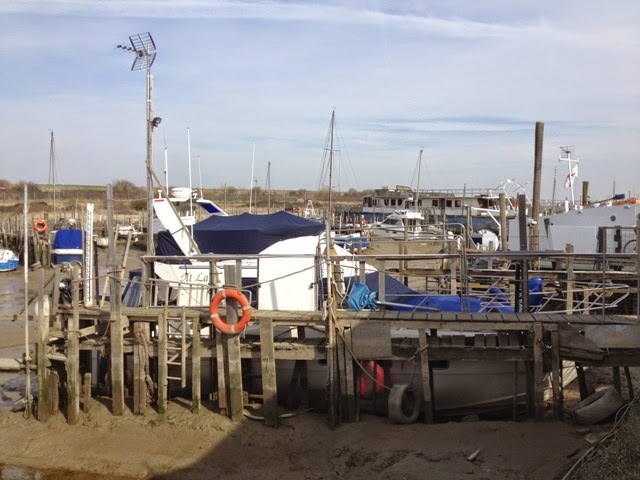 While I was at Canvey Island last Friday, I walked along the footpath at Smallgains Creek that runs beside the Marina. This place is a photographer’s dream, because the visual images are so rich with texture and colour, and for the marine photographer it is astonishing. 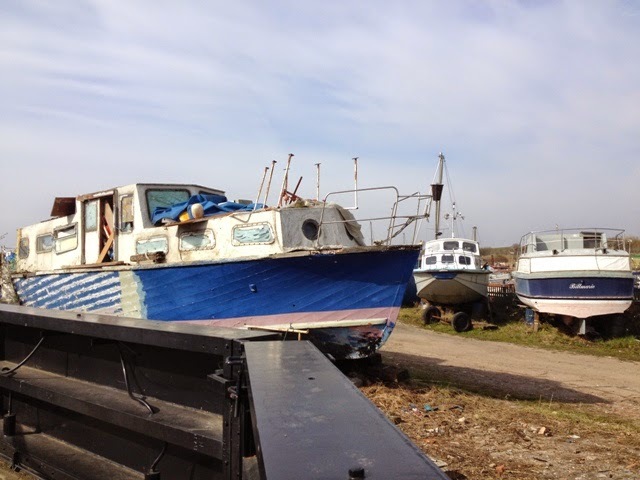 Rarely can there be such a dump-yard of dying and dead boats*, and in between and around, there are hives of activity with people working on ‘projects’ – I call them projects, as some are nothing more than fantasies. Don’t get me wrong, because there are other very sound and excellent craft at the Marina, the sort that can be admired and valued by their owners. I have no doubt that people who keep boats there, and those who live aboard them, love the atmosphere, with its apparent lack of regulation and freedom to create ones own lifestyle, though I suspect there are rigid rules and regulations; for example, where to dispose of trash and where to assemble in case of emergency, such as if a fire were to occur. I spoke to the harbourmaster who described his domain as a ‘do-it-yourself’ place, and as an afterthought he told me that to the best of his knowledge no murders had been committed there so far. I feel he must be a very resourceful person who can manage ‘his’ community with tact and sensitivity and at the same time he must be very good at arranging practical aspects of running a harbour. 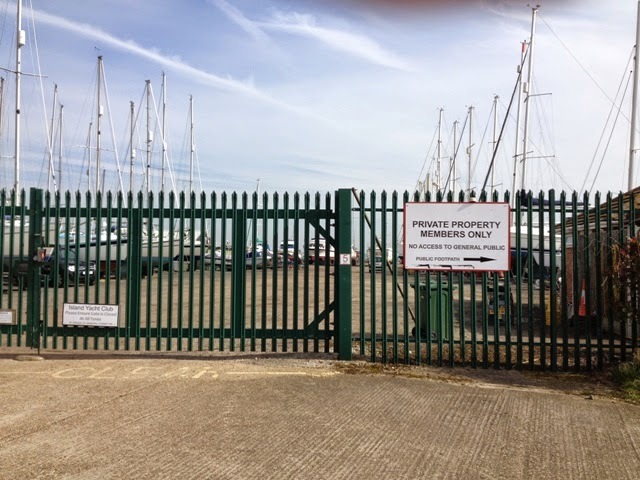 Boats have to be launched and retrieved; when being laid-up ashore, they must be set up safely; piled walkways have to be maintained; mooring and storage fees have to be collected; toilets must be cleaned and a close watch must be kept on all happenings– especially as the site is not secure. 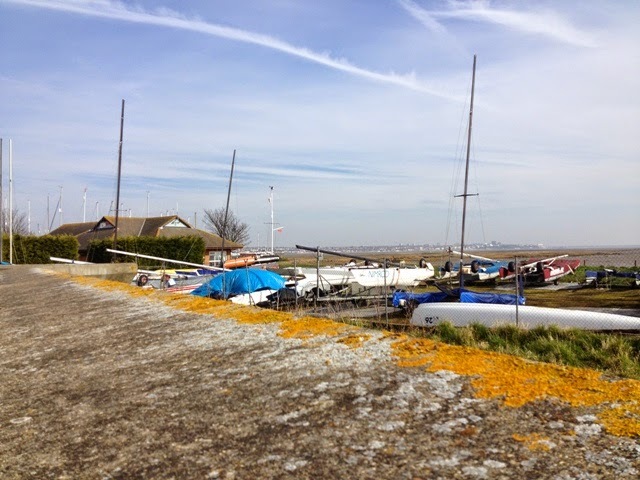 Essex is not short of sailing clubs. 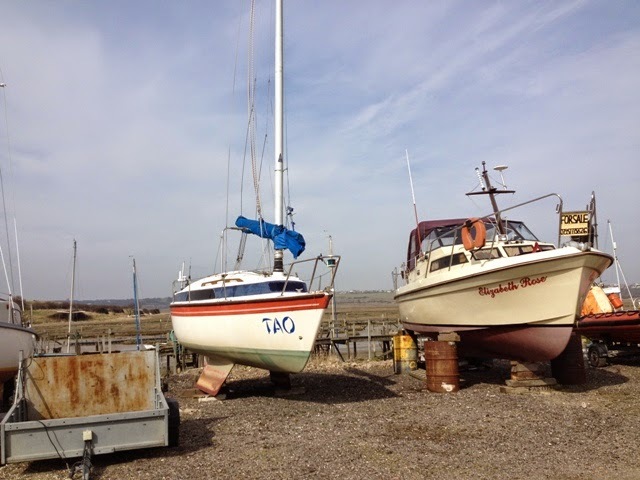 I have belonged to three of them: the Up River Yacht Club, Hullbridge Yacht Club, and the Marconi Sailing Club. 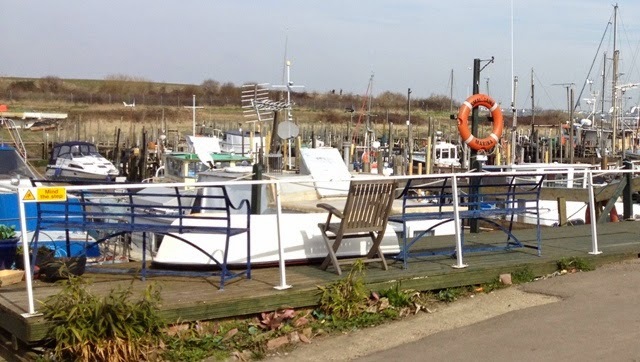 There are a several advantages in belonging to a club, and perhaps the most valuable is being able to use a club mooring, which is almost invariably cheaper than one supplied by a boatyard or a marina. Another advantage is friendship found with other members, especially those who sail similar boats to yours. For sailors who are socially minded, a club may be found that offers facilities for socializing, such as a bar and a restaurant. At certain times of the year, members may organize get-togethers; for example, a combined meal and prize-giving, or a dinner and dance evening, or a summer barbecue - even an AGM can be a bit of fun if it is creatively organised, perhaps with a video presentation of club events. 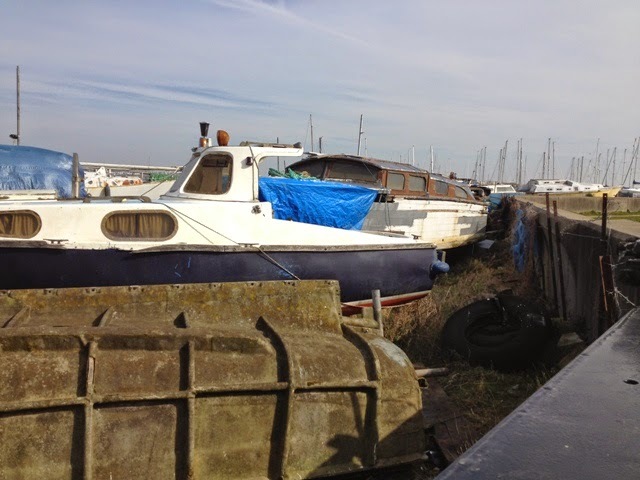 A big club will require a lot of upkeep; therefore organizers will be looking for members with time on their hands to do things like painting the premises, keeping boat parks in good shape, scrubbing the slipway, laying moorings, launching and retrieving boats etc. 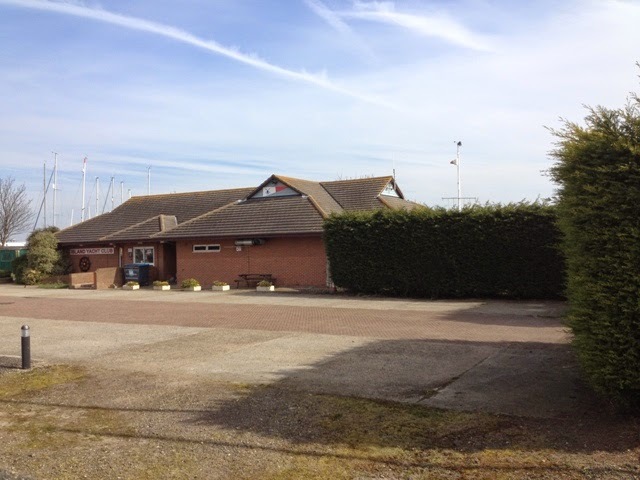 Last Friday I was invited by a member of the Island Sailing Club to have a look at the Club’s facilities. I was very impressed. The clubhouse has a large, well-furnished lounge and a decent bar, plus the usual changing facilities. 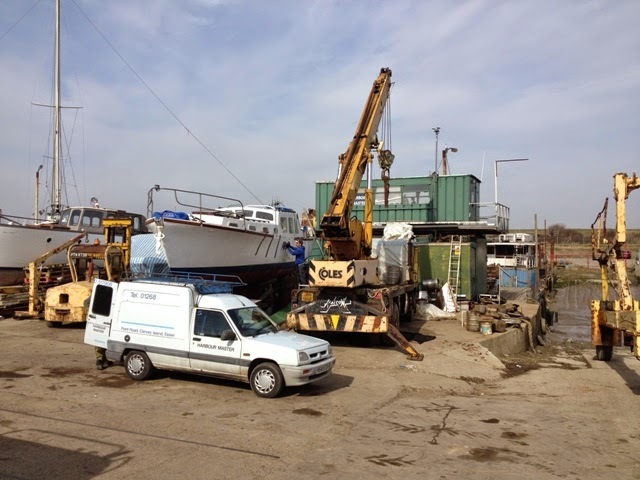 The boat park is enormous, and there are two large mobile hoists for moving vessels with the aid of a tractor. 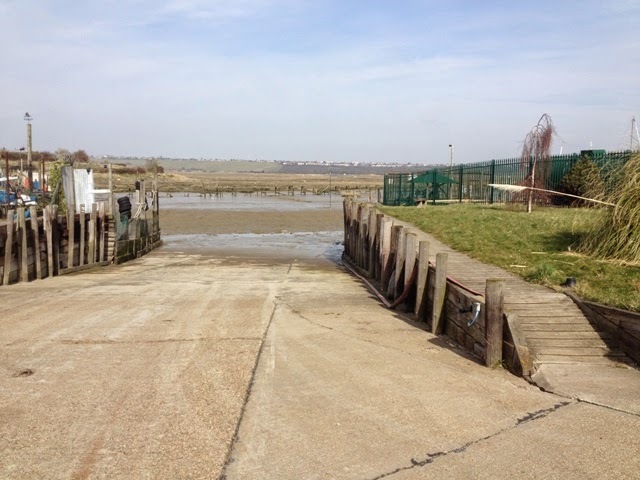 You could not want a better slipway, which has a perfect angle of descent, being not too steep, nor yet too shallow for manoeuvring craft in and out of the water. 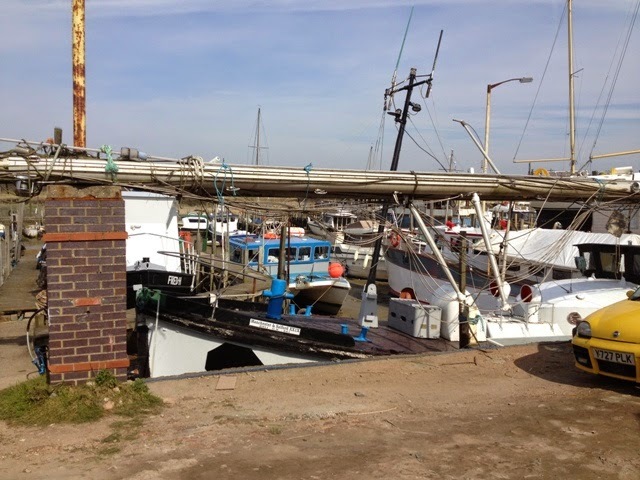 There are many piled walkways to which yachts can be moored, facilitating access to them by foot at all states of tide. One drawback is that it is only possible for most yachts to sail in an out of the creek from two hours before high water to two hours after high water. 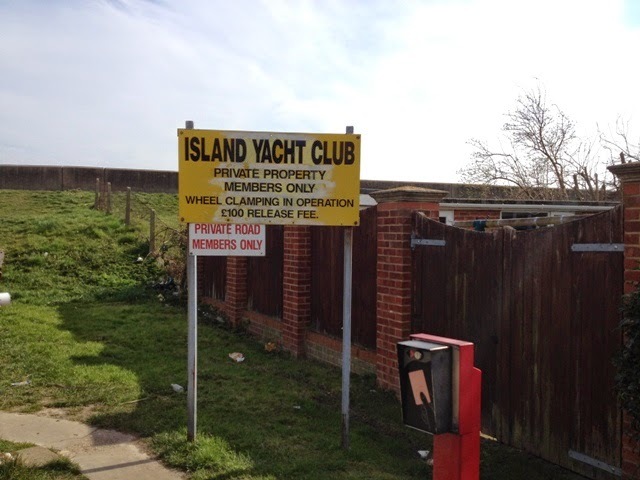 Despite the rather uninviting signs at the entrance to the club, and the Fort Knox appearance of the gate, I’m sure you will find a very warm welcome from members, as was my experience, last Friday. I say, thank you once again BD for being my host. I thoroughly enjoyed meeting you and your beautiful ‘Scruffie’. 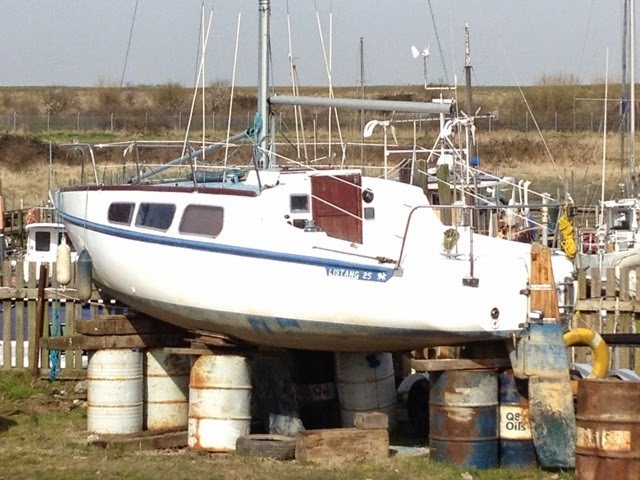 Now here’s the sort of boat that really appeals to me. 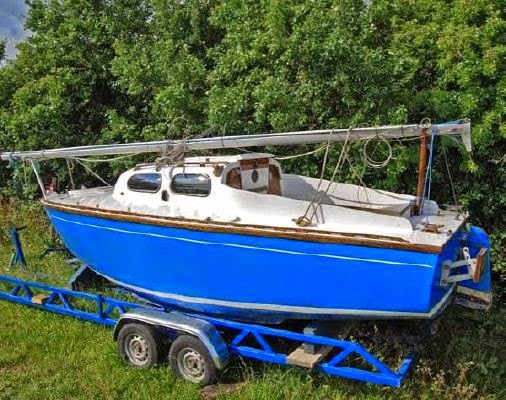 The roots of her design go back to days after the Second World War when, if you wanted a cheap boat you had to build her yourself. 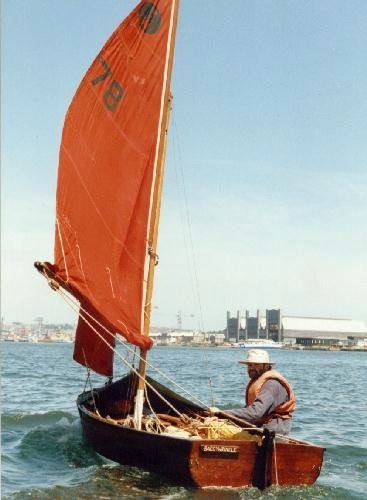 Although not designed until 1990, her designer, Derek Ellard, was close enough to that era to have an understanding of DIY boat building. 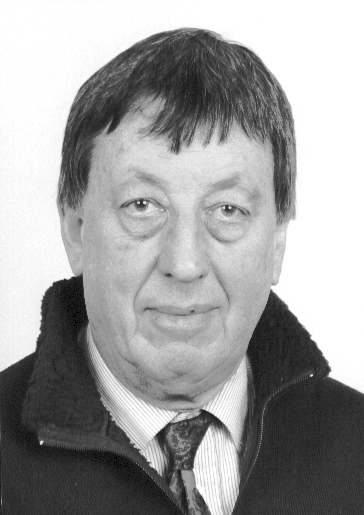 He was racing dinghies at Brightlingsea on the East Coast of England in the late fifties. Disenchanted with cold dunkings through capsizing, his thoughts turned to cruising dinghies, more in the style of Swallow and Amazons. 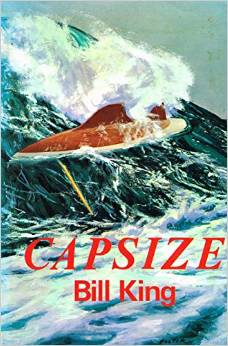 Fortuitously, his training at Art School in the early 1960s paved the way for a modus operandi in boat design. 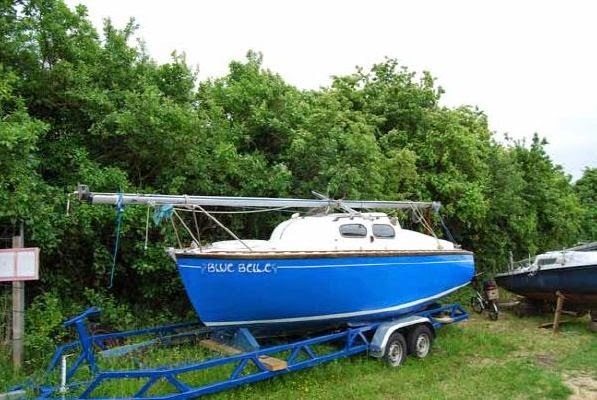 In his own words he says, ‘This was a time when we studied the relationships between form and function, and between aesthetics and efficiency.’ It wasn’t until 1990 that things came together for him to come up with building his dream boat, which he named, ‘Scruffie’. By then he had moved to Australia where he established Scruffie Marine at Mount Tamborine, on the Gold Coast hinterland. His initial aim was to produce a cheap, knockabout, lugsail boat, but that did not fully satisfy him, because he felt she could be improved by making subtle changes, such as increasing keel depth, profiling the rudder and adding a jib. 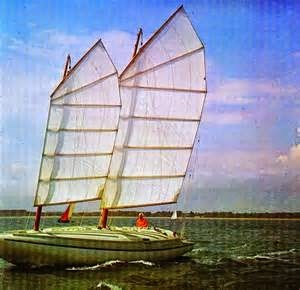 His story has progressively advanced, because he has increased the range of his designs from the recent 11’ 3” Skerrick to the latest 32’ Selena - at least 15 designs in all, including previous ones such as the very popular Shimmy 12, the Stornaway Weekender, the Secret 20 and the Scintilla. 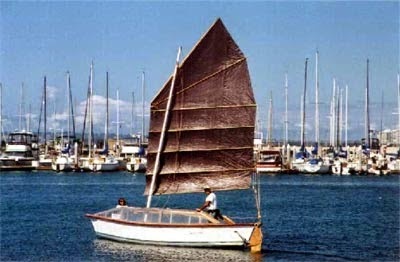 Many of them are available in kit form, or they may be purchased as finished boats. 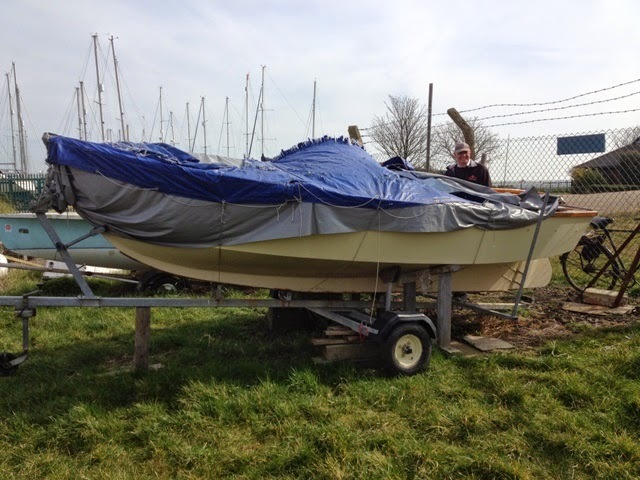 The English builder and supplier of kits for Derek’s boats is Whisper Boats of Babraham, Cambridge. I saw a Scruffie for the first time last Friday, and I became very excited by her simple elegance. She was covered with a tattered tarpaulin that was being lifted by an elderly gentleman who was intent of seeing if she had taken any rain in her cockpit. 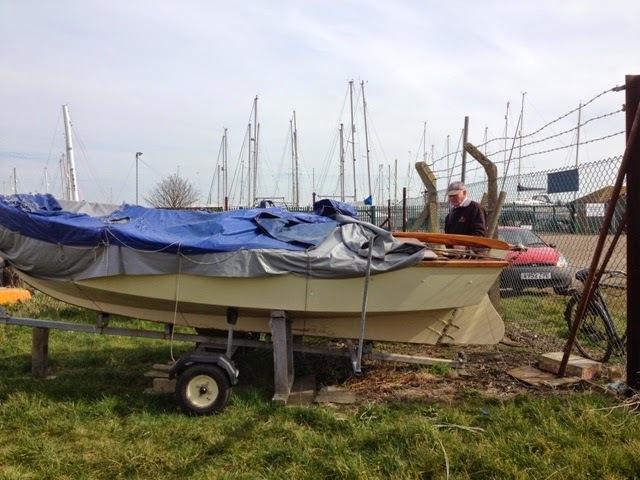 I spoke to him expressing my delight in his boat, and he gave me a very warm reception, to the extent that not only did he tell me about the boat, but about his associations with Canvey Island and the Island Sailing Club that stretch back to the post war years. He proudly gave me a tour of the Club. 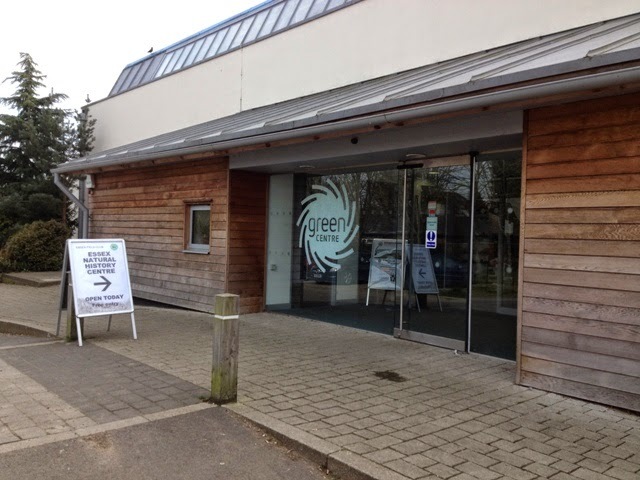 The Essex Natural History Centre or ‘Green Centre’ is a relatively new resource at Wat Tyler Country Park, which is not far from Basildon. 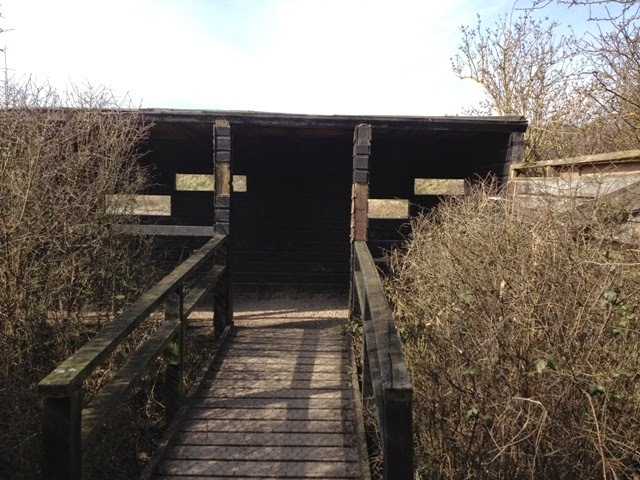 It is the home of the Essex Field Club, members of which are keen on the preservation of natural habitats and animal species dependent upon them. A great deal of effort has been put into making the Park a popular venue for families. The ethos behind the landscaping has been to make it a friendly place for wildlife and at the same time for it to be inviting to the general public. At first these objectives would appear to be incompatible, because humans usually have a detrimental affect upon wildlife. We often destroy natural habitats by the way we live, because we do not consider the needs of local fauna and vegetation. Wat Tyler Country Park was formerly a very grim place, because it was badly treated by humans. Large parts of it were damaged by the presence of an explosives factory*. Inevitably, land was poisoned with devastating effects. However, in recent years the site has been transformed. 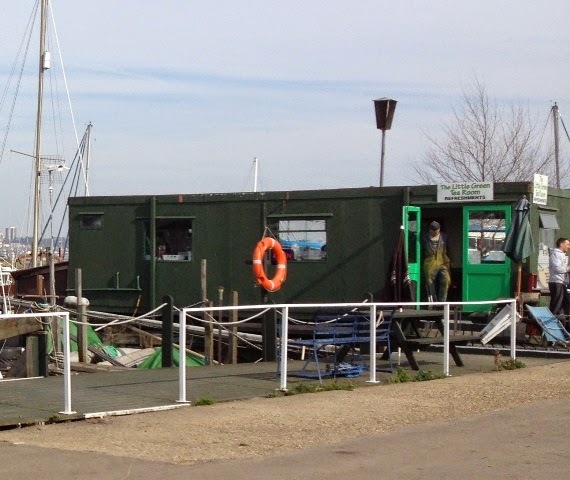 The old Motor Boat Museum has been replaced with the aforementioned Natural History Centre, which contains exhibits of creatures from the past and from the present. 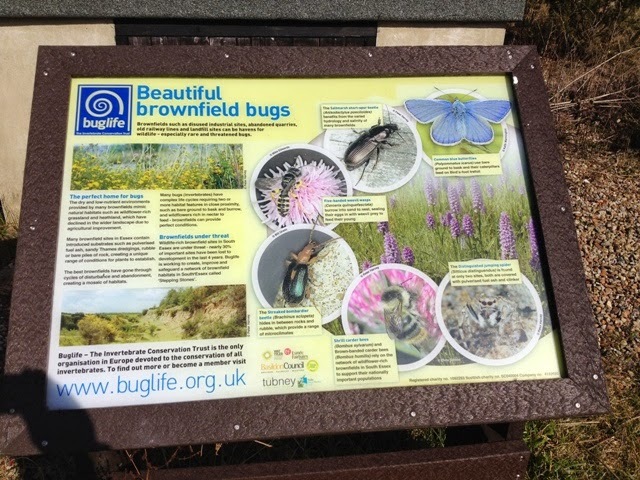 There are diagrams and illustrations on display of creatures currently living in diverse habitats found within the Park. In addition, there are actual examples of fauna from around the world. 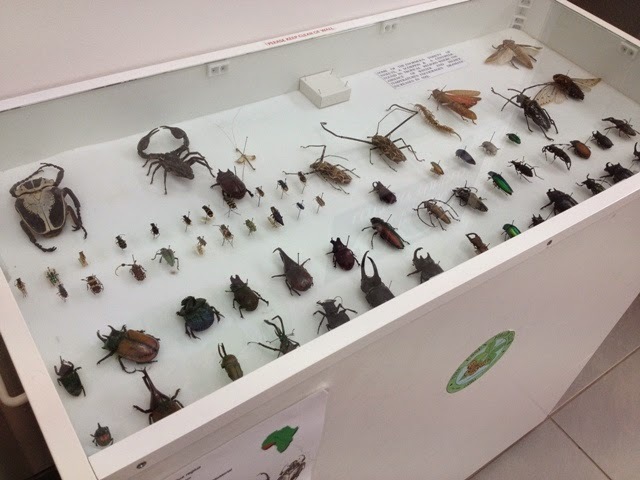 These specimens of all sorts of insects, bugs, beetles, moths etc. are displayed in cabinets. Ironically, these creatures were killed by those who collected them, with little thought to the preservation of their species. 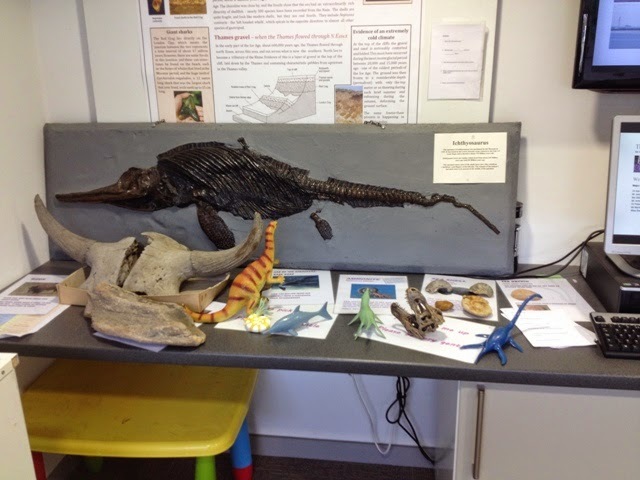 Beside trays of fossils, I saw a large one of an ichthyosaurus, although I doubt it was a real fossil - most likely it was a plaster of Paris replica. I commend the way in which the parkland has been managed, except for the mechanical trimming of bushes and trees beside some of the pathways. Elsewhere, trees have been lopped and bushes pruned sensitively. The surfaces of footpaths and walkways have been well maintained, and they are suitable for wheelchair users. ‘Nature trails’ give easy access to creatures and plant life. I saw a number of birds, including jackdaws and gulls, but very few smaller birds. From one of the bird hides I saw a duck that I could not identify. As it waddled over mud at the edge of the creek it spooned its bill from side to side in the mud searching for morsels to eat. I didn’t see many children at the Park, but I noticed a dedicated play area with climbing frames, slides and tunnels for them to explore, plus a picnic spot with tables and bench seats. 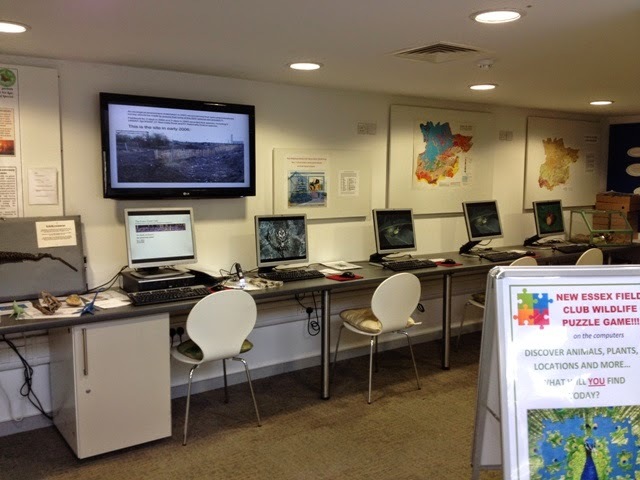 Light refreshments were available at the Green Centre. Parking was free.